You’ll love what a Sprint Booster will do for your /category/! • Eliminate your /category/'s throttle lag INSTANTLY! It's as simple as plug-n-play in your /category/! No special tools. No expertise. Estimated install time is 10-15 minutes. Put the pedal to the metal and make driving your /category/ fun again with Sprint Booster Power Converters. • Increase your /category/'s performance in 10 minutes or less! Sprint Booster V2 or Sprint Booster V3 - either way, You’ll bring a new thrill getting behind the wheel of your /category/! Since 2000, /category/ has replaced responsive cable throttle systems with the cheaper electronic versions. Unfortunately, they've robbed your /category/ of its performance. 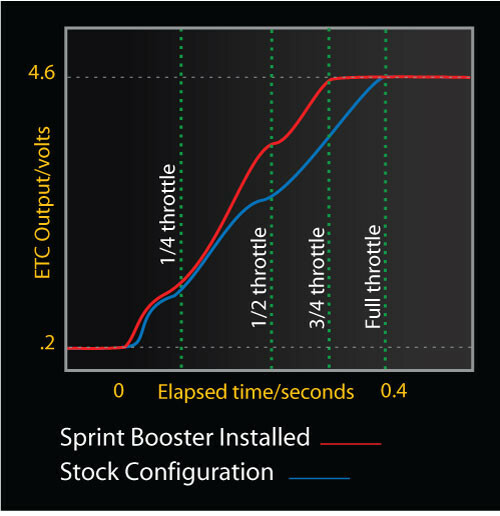 Sprint Booster not only corrects this problem, it actually improves your throttle response. It unlocks your /category/’s potential, creating a quicker, more responsive drive. So after you install Sprint Booster, you feel a huge difference the first time you hit the gas. What happens in your /category/ when you hit the gas? • Increase the responsiveness when driving uphill.